British Airways is the largest airline based in the United Kingdom, mainly operating from the London airports of Heathrow and Gatwick. 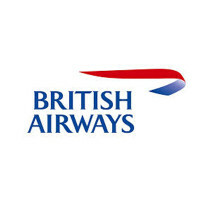 To find out how to apply for British Airways online, follow the link at the bottom of the page to apply online and submit your British Airways application today. BA runs both local domestic and international flights. The company currently serves six continents, one of only 10 airlines that does this, with a total of over 160 different worldwide destinations. It also has codeshare agreements with 25 different international airlines as well as being a founding member of the International Airlines Group. The company headquarters are located in Harmondsworth, a British village near the airline’s main hub at London Heathrow airport. The headquarters were originally part of the airport itself, but had to be relocated due to expansion. The airport itself had to expand to include a 5th terminal in recent years, which is now where most BA flights operate. Although it has used other types of airplanes in the past, the company now only operates Airbuses and Boeings for both passenger and cargo flights. All of their planes are instantly recognizable by the variation of the Union Jack, the flag of the United Kingdom, being displayed on their tails. There are a wide range of British Airways careers based in and around airports at various different locations. These roles include Cabin Crew, for which there are height and weight requirements, Pilots, Ground Operations Agents and Customer Service Staff. Many of these are part-time and won’t require much experience, except of course, Pilots. In the head office there are a number of career options that they are accepting applications for, such as in the departments of Analysis, Finance, Communications, Marketing, HR, Project Management, Safety and Security, Strategy and Planning and Commercial. There are also jobs for Engineers, Students and Graduate Schemes and positions available in the Contact Centers. How old do you have to be to work at British Airways? You must be at least 18 years old or over to apply for jobs at British Airways. There are many benefits to British Airways jobs that you don’t get working in other careers. Employees are entitled to generous discounts not only on travel but also on hotels and on other products. The company offers pension schemes and various insurance products as well as other perks including a childcare voucher scheme. The hours of operation are 24 hours a day, 7 days a week. Each role will have a different shift pattern depending on position and location. Cabin Crew – Most of these job opportunities are based around in London airports but there are also international placements in Central and South America and Asia. The responsibilities of the Cabin Crew are to ensure the safety and happiness of the customers. You will need good hospitality skills and learn all the necessary safety procedures. The salary starts at $18,000 a year. Pilot – There are three different routes into this line of employment, a direct application scheme for experienced commercial pilots, a managed path for ex-forces pilots and a future pilot program for all others. The job description is fairly straightforward, to fly Boeings and Airbuses to different destinations across the world. The salary is typically $120k/year. Ground Operations Agent – A large part of this role is on the ground freight handling which will involve some heavy lifting so you will need to be able to physically handle this aspect of the job. There may also be some customer interaction involved as you may be asked to assist with outsize or special luggage. The salary is typically around $25k/year pro rata. Customer Service Host – In this part of the industry you will need to be very knowledgeable about the services run by BA and company policies so that you are able to assist with any customer enquiries and resolve problems. The average pay for this role is $24,000 a year plus shift pay. There is a thorough interview process once you’ve submitted your British Airways application, so be ready for the types of questions they may ask. What do you know about the company? Make sure that you always carry out some research about any company that you interview for. When you give your answer, focus on the positive aspects that drew you to them. How would you handle a difficult customer? It is important to be able to deliver excellent customer service while under pressure, especially when there are likely to be many customers who are anxious or angry. Give an example of when you have handled a similar situation. Are you good at multitasking? You sometimes might have to deal with more than one important task with British Airways jobs, so you will need to be able to demonstrate to the interviewer that you have a way of handling these types of situations. Tell me about your customer service experience. Describe your previous experience working in this industry, obviously concentrating on the positives. Pick one or two aspects that you think are most important to interacting with passengers. What is your biggest weakness? You may not want to talk about this but you can’t avoid the question. You can be honest, but always talk about what you are doing to improve yourself, such as taking on extra training. If you search for British Airways jobs online you will find the wide variety of different openings they have available. Most roles require you to submit a British Airways job application online by filling in the online application form first. It’s not possible to download a printable application for British Airways or apply in person with a resume. You can submit a free application if you are from overseas, however applicants for most jobs will be required to attend an assessment day and will need to be able to pay for this themselves. There will also be a number of written assessments required including situational judgment tests, ability tests and personality questionnaires. Check their website for what you will be required to bring to your assessment day as this is different depending on the role you’re applying for. BA will normally ask you to undertake at least two interviews, one on the phone and one in person while they are processing your application, so make sure you are prepared for both. Assessment days for Cabin Crew and some other roles are typically divided into two parts. In the first part you will be asked to take part in a role-playing exercise with other applicants. You will also be expected to answer questions about the company and aviation in general. The second part is the face-to-face interview with one or more hiring managers involving behavioral questions. Frontier Airlines: For career opportunities, fill out the Frontier Airlines online application. Alaska Airlines: Use the Alaska Airlines job application to apply here. Allegiant Air: See our guide for careers at Allegiant Air. Virgin America: Virgin America offers opportunities for both, beginners and experienced roles. Hawaiian Airlines: Hawaiian Airlines offers opportunities for both, beginners and experienced roles.